This entry was posted in and tagged World Poker Tour, Trophy on April 19, 2016 by admin. 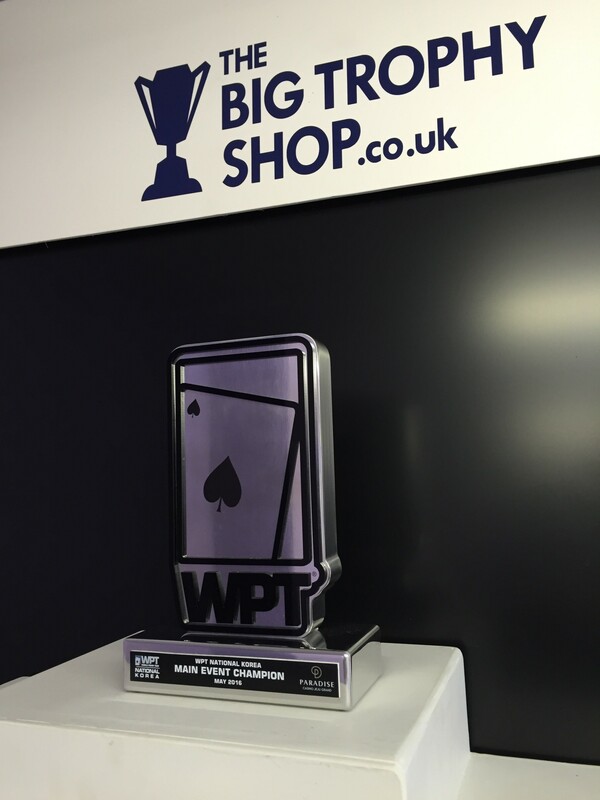 Another busy day in the shop today preparing the latest trophy for the World Poker Tour in Korea. 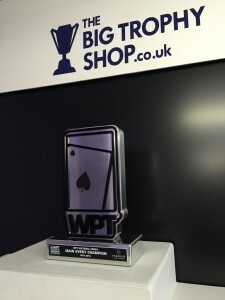 The World Poker Tour are one of our more unusual clients as we have to send trophies all around the world depending on where the tournament is being held. We are very proud to have been selected for this annual contract and enjoy following the World Poker Tour online. If you have a complicated trophy requirement just give us a call on 01933 279812 and we will make every effort to meet your needs.